1. All experience levels of crocheters are welcome. Please have in mind that knowing how to read a crochet pattern is essential! 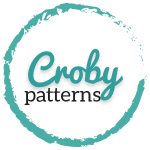 (Crochet Skill Levels) Having checked the pattern by so many people with different crochet skills is great because you can see how people understand your patterns and if they are actually easy to follow. 2. Must be able to spot grammatical errors in the pattern. Since I am not a native English speaker it is very important for me to get patterns checked if there are any grammatical errors in the pattern. 3. Have great communication skills. And by this, I do not mean your English has to be perfect and you have to speak like I would read a novel. Be nice, be honest and don’t be afraid to speak. But share your suggestions and ideas in a respectful way. 4. Must be able to spot the errors in the pattern (instructions, stitch count…) and give suggestions on how to correct the error. 5. Must be available to respond to my messages in 24 hours. I will probably not bother you during the testing period, but in case I do, please respond to my emails. Also, you can contact me anytime you want, I will do my best to reply as fast as I can. 6. You must finish your test by the given deadline. This is a simple but non-negotiable rule! Do not apply if you can not finish your work on time. Obviously, life happens and things come unexpectedly. In this case, contact me as soon as you can and let me know. But excuses like “I didn’t have enough time” or “I was working on something else” are just not acceptable and testers who do not finish on time will not be asked test again. 7. Please note that the yarn and supplies needed for the project are provided by you. So apply to test the patterns you really like and would try them anyway. You do not need to use the same yarn as I am using in the pattern, but in case you use a different yarn as I do, please check the gauge and obtain the gauge if necessary. If you are not sure what to do, please ask. I do NOT ask for the final items to be sent to me. I only ask for photos to be submitted as a proof of testing. 8. My patterns are written in more than just one size. You will have to test one size only and that’s the size you will apply for. Crocheters that are able to try the final garment on the model are more likely to be asked to test a pattern. We have to make sure the item fits the baby and is the correct size. 9. You must be able to take a decent quality in-focus photos of your finished item, gauge and any necessary steps of your work during testing. 10. You must be able to access computer, tablet or phone during testing. Before you start testing the pattern you will receive an email with two files: the pattern and a form/report. You will test the pattern and fill out the report with your notes. 11. Pattern testing should be done with a help of the pattern test report. I wrote a detailed report with questions that will help you check everything necessary to successfully complete the testing. Please do not delete any parts of the report and make sure you answer all the questions as best as you can. 12. Please note that the patterns are copyrighted. You can not copy, share or redistribute, sell, alter or re-write any part of the pattern in a draft or a final copy or photos used in the pattern in any way, shape or form. Any attempt is an illegal action and will not be tolerated.